The Brick Guys - Masonry Contractor Services in Toledo, Ohio. The Brick Guys Masonry Contractors are all about getting the job done quickly, exactly how you want it. We understand a fast and efficient installation is the first step toward a lifetime of enjoyment. The Brick Guys are Masonry Contractor Construction Services systems specialist encompassing everything in a masonry wall system – brick, stone, block, vapor barrier, water repellents, insulation and flashing. We work in a collaborative environment to provide solutions to construction challenges during the design and construction process and deliver a masonry wall system that stands the test of time. Call us today we want to be your Masonry Contractor of choice! Masonry Contracting & Construction today relies heavily on digital technology to meet the demands of time and accuracy. Our 3D estimating software has the ability to extract object properties and generate automatic quantities and allows us to bid projects more accurately and efficiently. Our Project Managers and Foremen are able to see what an area or building is going to look like before the first brick is placed, eliminating possible costly mistakes. We will provide drawing and detail review, impartial materials selections, recommendations, as well as, specialized trades referrals. As Masonry Contractors are always thinking of how to save money and work faster delivering the best quality product possible. We listen to our workers in the field and encourage their input. We are competing for tomorrow. What worked yesterday is not necessarily viable going forward. Masonry Contracting has reinvented itself over the past decade with new technology, new engineering and estimating software, new systems, sequencing, new materials, accessories and equipment. It is still the sustainable beauty with all its past attributes, but has continued to evolve with the times. 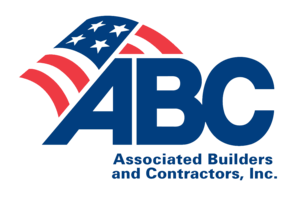 The Brick Guys (Leadership in Energy and Environmental Design) certified through the United States Green Building Council. Masonry is the most sustainable and most environmentally friendly wall system. It optimizes energy performance. A quality crucial today as recognized by LEED. The Brick Guys Masonry Contractors perform masonry enclosure consultation and can execute inspections of existing masonry to determine water penetrations and structural deficiencies. The Brick Guys Masonry Contractors maintain a fleet of forklifts and lift trucks immediately available for multi-story construction and repairs. We have a fully equipped repair shop and trained service technicians on-site to repair and maintain our investments. The Brick Guys Masonry Contractors process-oriented, employee-driven approach to safety involves comprehensive training and a thorough grounding in our philosophies regarding safe behavior. Each project has a designated onsite Safety Director that assigns clearly defined safety responsibilities and implements project specific safety procedures.